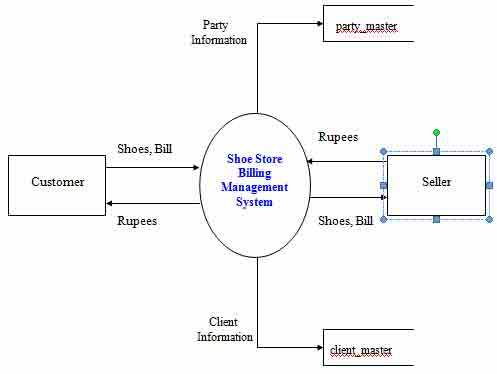 The data flow diagrams are pictorial or graphical representation of the Shoe Store Billing Management System. 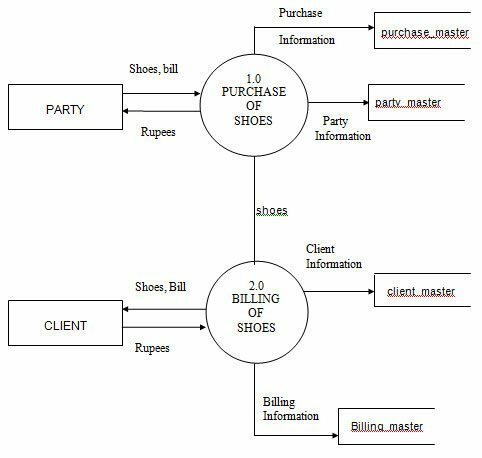 The data flow diagram covers all the processes and data storage area, which takes place during any transaction in the system. 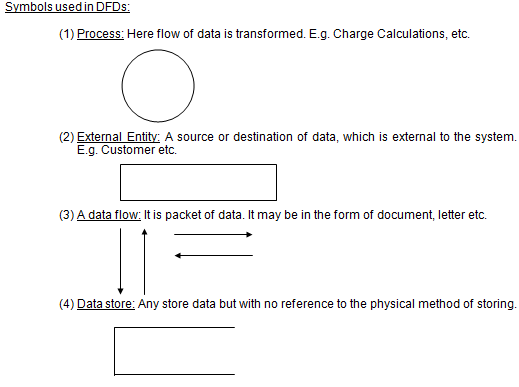 The data flow diagrams are functionally divided into context level, Zero level and First level data flow diagrams.